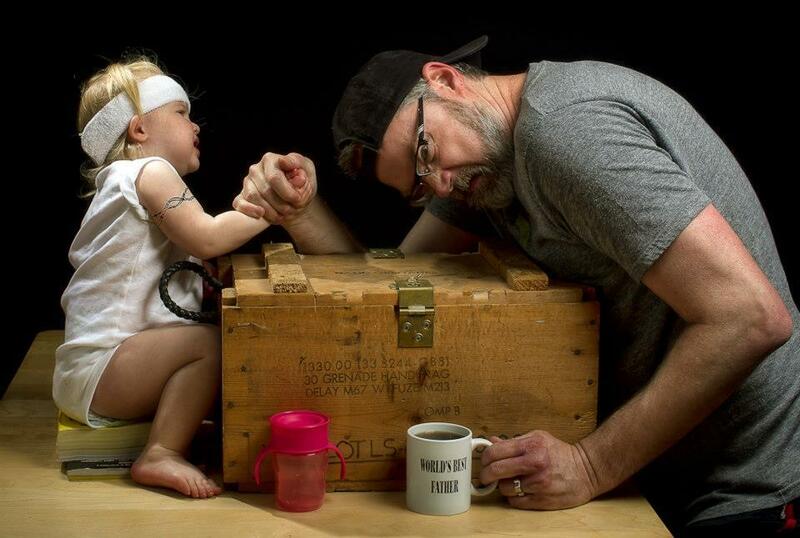 Dave Engledow tells Shine that the first picture he snapped in his "World's Best Father" series featuring his daughter, Alice Bee, was supposed to be a single shot. "When Alice was about eight weeks old, I wanted to portray what I felt like at the time: a clueless, sleep-deprived dad." 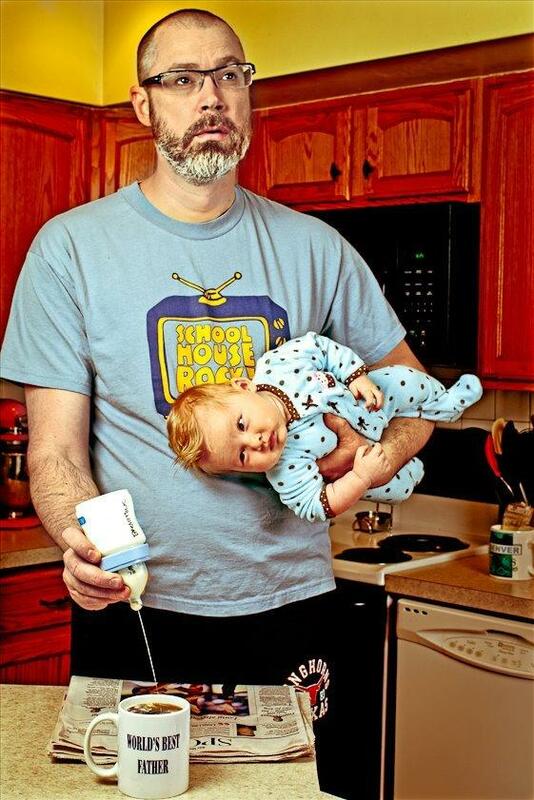 He posted the image on Facebook and received such a positive response he decided to create a series of images that parodied the distracted narcissism that characterizes some parents today. "I wanted to appeal to my friends who are parents, but also make something funny for people without kids who are sick of seeing baby photos." He combines multiple images and uses digital retouching to create the humorously perilous scenarios. He now has more than 50 images all of which feature a kitchy "Worlds Best Father" mug-something he says he bought "on a whim." A couple of weeks ago, he launched a Kickstarter campaign to raise money to self-publish a calendar of the best pictures. He says he would love to create as many as possible with his daughter, who is now 21-months-old. "I have ideas for shots when she is a teenager, but I've always said I don't want to be one of those fathers who pushes my kid do something she doesn't want to," he pauses. "Except for eating vegetables." Engledow's wife, Jen, is a Lieutenant Colonel in the Army. Until three months ago, when she was deployed to Seoul, she helped set up every shot and made sure Alice was safe and happy. Now friends pitch in, and mom and dad work on the images together over the Internet. He acknowledges his life is pretty busy (we caught up with him while he was driving to his day job), and he only has time to do photography on the weekends. Engledow tells Shine "Her current assignment is up in June and she's coming home for a couple of weeks for Alice's second birthday." 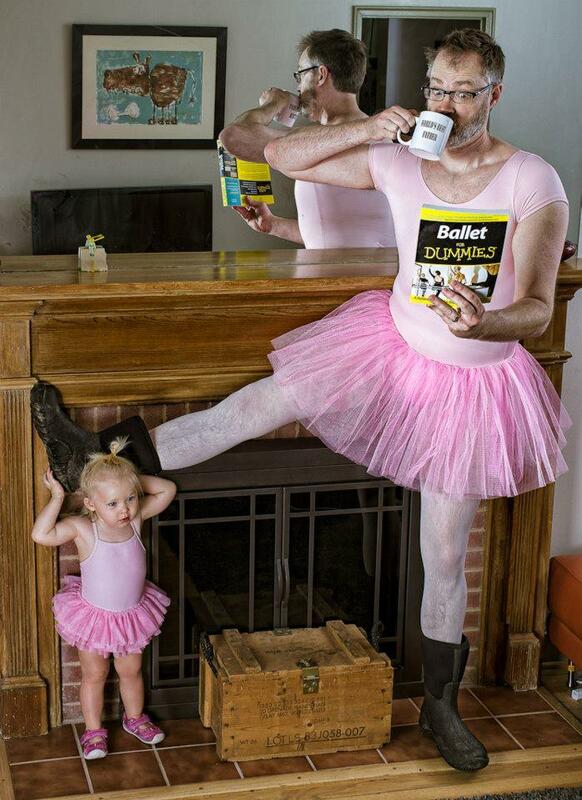 Maybe he is the World's Best Father.